Available only via wayback machine. 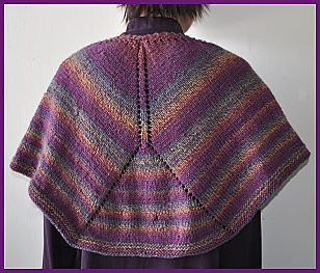 Pretty shaping makes this shawl lovely from front or back view. 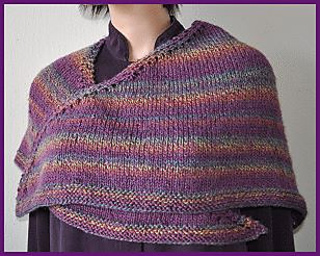 Yarn overs (YOs) at the beginning of the row are dropped on the following row without knitting them. 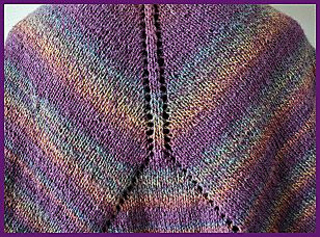 This allows for a stretchy edge and a small picot trim.